Introduction to the Configuration Wizard. You can use Settings Wizard, to set you up on the Fess . In Administrator account after logging in, click menu Settings Wizard. Do the crawl settings. 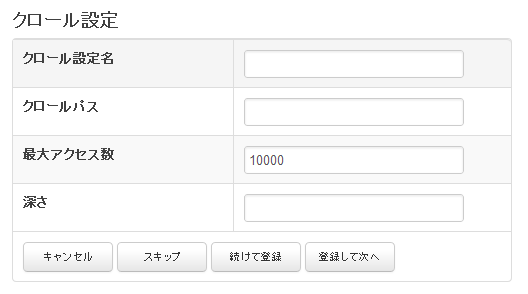 Crawl settings is to register a URI to look for. The crawl settings name please put name of any easy to identify. Put the URI part de-indexed, want to search for. 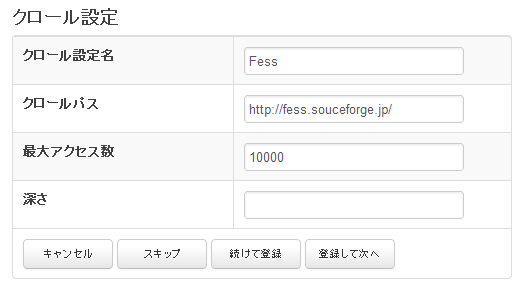 For example, if you want and search for https://fess.codelibs.org/, less looks like. The type, such as c:\Users\taro file. In this setting is complete. Crawl start button press the start crawling. Not start until in the time specified in the scheduling settings by pressing the Finish button if the crawl. Settings in the Setup Wizard you can change from crawl General, Web, file system.